We all need to be entertained and communicate in our daily lives. It’s time to start looking at organising a telephone service, broadband (internet connection) and a TV service for your first home. The Telephone Service .. Who? What? When? There are many suppliers to choose from for your telephone line service, but most will try and bundle the telephone service with some other form of offering. Some offer discounts for their existing customers and some companies will almost give you the telephone service for next to nothing, provided you contract to them for a certain amount of time. Yes there are lots of different companies supplying TV, phone and broadband in the UK, but most providers are essentially reselling the BT services under their own brand. The only company that has their own fibre infrastructure is Virgin Media. Unfortunately they do not cover every area of the UK, but you can quickly check with them on their website. A little tip … When looking at phone, broadband and TV services, always make sure you know the cost of the line rental with each supplier. It has been known for a supplier to provide a very cheap phone and broadband service, but charge a very hefty line rental every month! Make sure you compare like for like. 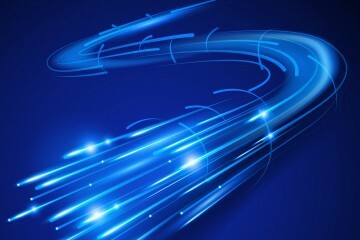 TalkTalk offer unlimited broadband up to 17mb/s as well as super fast fibre broadband up to 38mb/s. Manage your account fully online and upgrade your package to include home phone and TV. Get started now and build a great new home entertainment package for your home. Many people these days do just have a mobile phone. Think hard about a phone service – What exactly do you need a house phone for and if you did have one what benefit would it bring to you.? Your phone usage data will help determine what type of package is best for you and will suit your needs in your new home. Most of the UK is now covered with broadband or some form of internet connection. Usually where there is a phone line or a phone line is installed, you can operate a broadband connection over this phone line. This is commonly known as ADSL or ADSL2 broadband. For more remote areas that cannot have a phone line, there are other alternatives such as mobile broadband (3g or 4g) or satellite broadband. Plusnet offer broadband, phone and TV packages from £2.50 per month. Unlimited download packages and super fast fibre broadband up to 76mb per second! along with 24/7 UK based customer service. A FREE wireless router and FREE activation worth £50 is included with most new contracts and packages. What are you waiting for, get Plusnet on the case and get your new property wired and ready for your moving in date. Unlimited broadband and home phone packages from Fuel Broadband. Fuel is a relative new comer to the broadband and phone packages sector, but they offer great packages and great prices. Fuel Broadband Unlimited from just £2 per month. FREE evening & weekend UK landline calls. For ADSL broadband connections, your speed that you will receive in your home, will be determined from your distance to your local telephone exchange. The further away from the exchange you are, the slower the download speed you will receive. Be aware .. Any company claiming to provide a faster service to you over a standard ADSL line, cannot. If you want a faster service, you will have to consider fibre or cable broadband. Your internet provider is your most important link to the outside world for gathering information. Our advice on getting the best is first ignore the price and do you homework when it comes to availability of different internet download and upload speeds. Establish with your current provider how much data you use per month. Only when you understand the following should you even consider price. If you choose an internet package but then later on you want to upgrade – Can you? When the internet stops working or is slow then family frustration kicks in. Take your time and choose a provider that has an excellent customer service rating. Top Tip .. Quite often broadband, TV and phone providers want to win your business and gain a larger share in the market. If you have found a better price from another provide, then tell them and ask them to price match. Some will to win your business. If you don’t ask, you don’t get! You have a choice when it comes to TV services. Dependent on your property type, location and your receiver equipment will often determine what is available to you. Word of warning … If you are buying a leasehold property, be sure to check that aerials and satellite dishes will be allowed as part of the community rules or freehold. You will need a satellite dish to receive services such as Freesat or Sky. Fresat offers FREE to air TV channels via satellite and Sky offers monthly packages based on the channels you want to view and the services you require.